I know have this annoying habit of gushing over my kitchen appliances but I can’t help but marvel the convenience of owning my a crock pot. To say that my crock pot is one of my prized possessions would be a bit dramatic of me. It indeed is a time saver and a stress reliever for me . I simply dump all the contents in this slow cooker and let it work it’s magic. I am not trying to be lazy or always look for a shortcut. Sometimes, I can’t muster the energy to whip up a swanky 5 course meal. Stew is usually the perfect solution for me. I try not to let crock pot meals become a regular habit but I like to end a week or a day on a stress-free note. I love cooking but I have a time budget. That is where Irish stew comes in. Irish stew has always been in the makings for me. Shortly after I announced that I was going to be making and serving this stew, I have been inundate with recipe requests. Suffice to say, this Irish stew recipe was more than just a hit. Sadly, I miscalculated the number of ingredients I’ve used and didn’t have enough to serve a household of 7 people seconds. If you are looking for something comforting, this Emerald Isle stew is perfect for a cold and murky winter night. 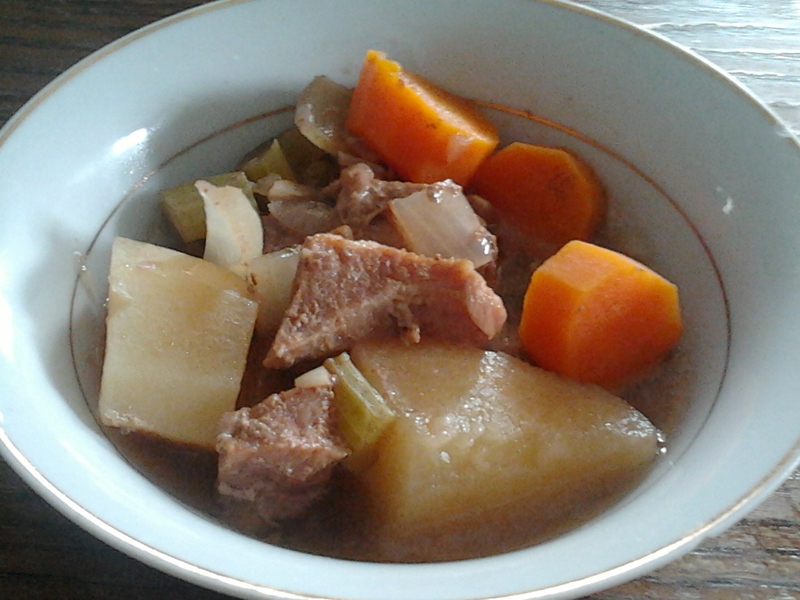 Traditionally, Irish stew is normally made with lamb. Apart from lamb being astronomically expensive, it has higher fat content than beef chuck so I opted for Goulash meat. Not to cast stereotype nor judgement on the Irish, I used beer which amplified the flavors in this hearty stew. You can use dry red wine as well if you decide to. If you have unexpected company, just toss in more vegetable as needed. Easy to make with hassle-free prepping, this nutritious and filling Irish stew recipe provides protein, carbs and ample amount of fiber in one bowl of hearty goodness. The aroma is absolutely tantalizing when the stew is cooking. I made this stew overnight and had to fight the urge to have a bowlful the very next morning when I woke up. Serve this stew over a bowl of steamed wholegrain rice. If you are not a fan of the crock pot, this recipe can be easily converted to oven or stove-top methods. Sprinkle goulash with salt and pepper. Place beef in crock pot along with vegetables, thyme, water and beer. Cover and cook low for 8 hours or high for 6 hours. During the last hour before serving, dissolve the cornstarch in cold water and then stir into the stew. Simmer on high for a few minutes to thicken. Sprinkle chopped fresh parsley ans serve hot. This entry was posted in Meat, Sugar-free and tagged comfort food, crock pot recipes, easy dinner ideas, Irish stew. Sometimes I don’t always want to listen. Sometimes I don’t feel like being obedient. Sometimes, I would rather contradict the laws of nature and run wild. Sometimes, I don’t always want to control my impulses and cut my inhibitions loose. After all, rules rules were established for the sole purpose of being broken. If there are no rules to follow, there is none to break. While sometimes facing the consequences may be worth the risks we take, good behavior is the safest resort. Although I believe I have been programmed to challenge authority (not doing so would be supernatural of me as despicable as it may seem), there are boundaries that I know better than to cross. Cheating on my diet and physically slacking off is one of them. I try to discipline myself but I am sometimes overcome by sheer laziness. Images of my overweight teenage self motivates me to exhibit self control apart from serving as rude reminder of how much I hated my physical appearance. I seldom eat more than I should but I make sure that my gluttony is reimbursed with exercise. I compromise a heavy meal with a light dessert. I am willing to sacrifice a chocolaty dessert for one week. Some people may think of me as being frugal. My “stinginess” is sometimes justified. When you are investing a lot of time, energy, and power making a heavy meal for a lot of people, a light dessert such as poached pears seems ideal and practical. Besides, most people I know are not always able to stomach a rich dessert. Poached pears was the perfect solution. Even my friend’s toddler devoured them despite the fact that they were sugar-free. I don’t normally eat poached fruit. The canned fruit is loaded with sugar, syrup, and artificial flavorings. That is why I would often turn down compote unless its homemade. I used Asian pears as I thought it would add an interesting dynamic. While these poached Asian pears are a great lighter alternative to heavy desserts, their strong flavor profile will even satisfy the most discerning sweet tooth. Infused in blood orange juice and white wine, this spiced poached Asian pear recipe is a perfect dessert option for cold winter nights or as an elegant luncheon dish. Truly decadent but not as caloric, this recipe maximizes the natural sweetness of the Asian pear, combining it with a fruit-forward white wine and highlighting both with a touch of cinnamon, ginger, whole cloves and all-spice. Serve with low-fat vanilla ice cream. Reserve the poaching liquid for cocktails if you are feeling naughty ;-). Certain urges can’t always be fought. Place cinnamon stick, ginger, all-spice, and whole cloves in a cheesecloth. Tie ends together and place them in a saucepan along with the wine, orange juice, and water. Bring to a boil. Reduce to a simmer and add pears (if you can’t fit all the pears in at once, cut them up into slices). Cook pears for 10-20 minutes or until tender. Remove pears from the blood orange wine mixture and boil the liquid until it has been reduced by a half. Pour over pears and serve with ice cream or low fat vanilla/plain yogurt. If not serving immediately, transfer liquid in a container once cooled and store pears in there. 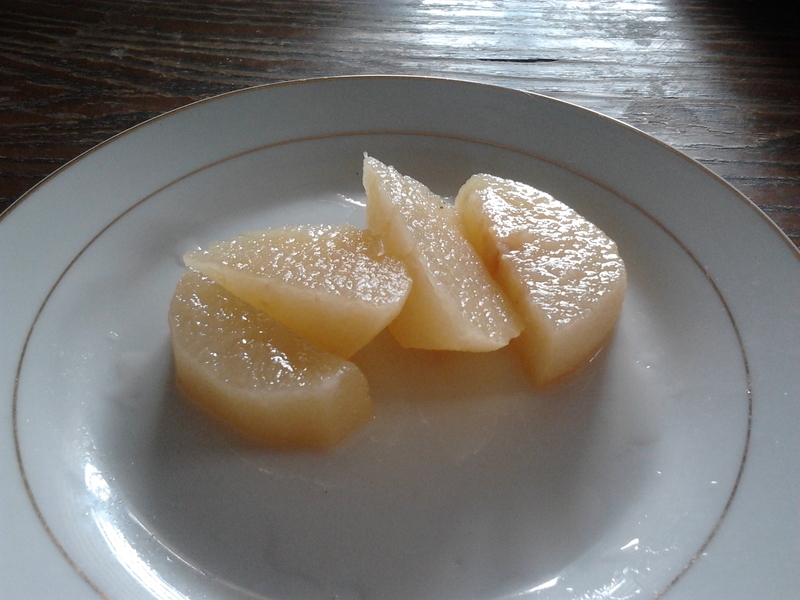 This entry was posted in Desserts, Gluten Free, Sugar-free, Vegetarian and tagged Asian pears, poached pears. Words can’t begin to describe the frustration I endured when hunting for good quality vegetarian minced meat . The search was long and arduous but subsequently worthwhile. I nearly had to get my local supermarket to place an order for me of a particular brand of vegetarian minced meat. I found and bought a couple bags of those just when I thought all was lost and hopeless. Okay, I am being a little melodramatic. 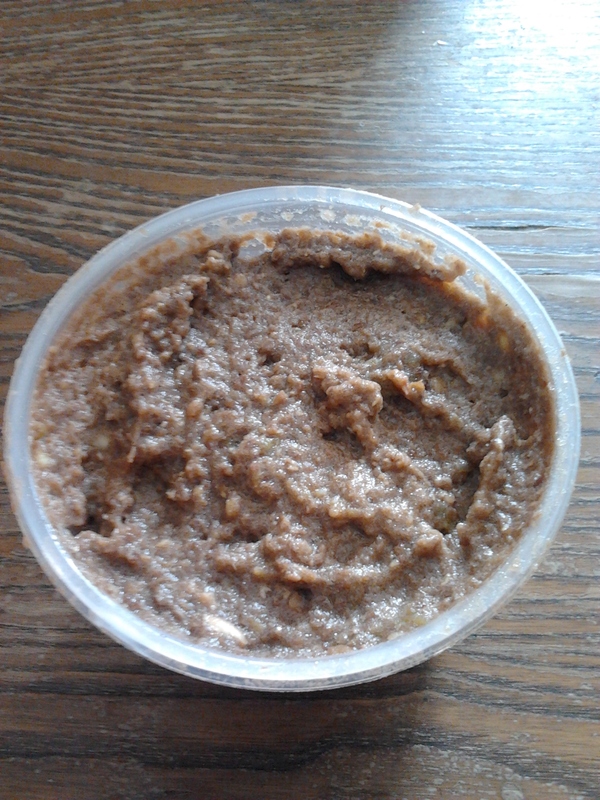 I had this gnawing urge to make a dish involving vegetarian minced meat for a while. I was in hot pursuit for a perfect vegetarian Sloppy Joes recipe. Not recalling the last time I had Sloppy Joes, I felt that a vegetarian version would make wonderful dinner idea. 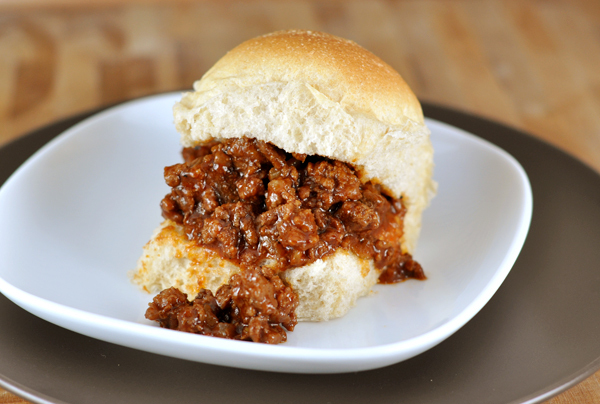 To some, Sloppy Joes elicit warm childhood memories. To others, it exhumes an unwanted nightmarish hypermnesic past of the school cafeteria. To me, it does a bit of each. I remember how excited we would be as kids when my mother announced that she was serving Sloppy Joes for dinner. While I have been making vegetarian oriented meals as of late, it is hard to find high quality vegetarian versions of the meat originals. Perhaps that may just be me being selective about my choices of vegan products. Until I started making my own, I never liked veggie burgers mainly because I felt they had a Styrofoam texture and were often very bland. Soy ground meat wasn’t any better. In retrospect, if I was feeling adventurous and desperate, I could have concocted my own vegetarian Sloppy Joes from scratch using cooked lentils/beans, quinoa, and assorted vegetables. That would have been a soy-free alternative. It’s definitely a thought to be considered for another vegetarian dinner inspiration. If you already know how to make Sloppy Joes, this vegan version is remarkably simple. 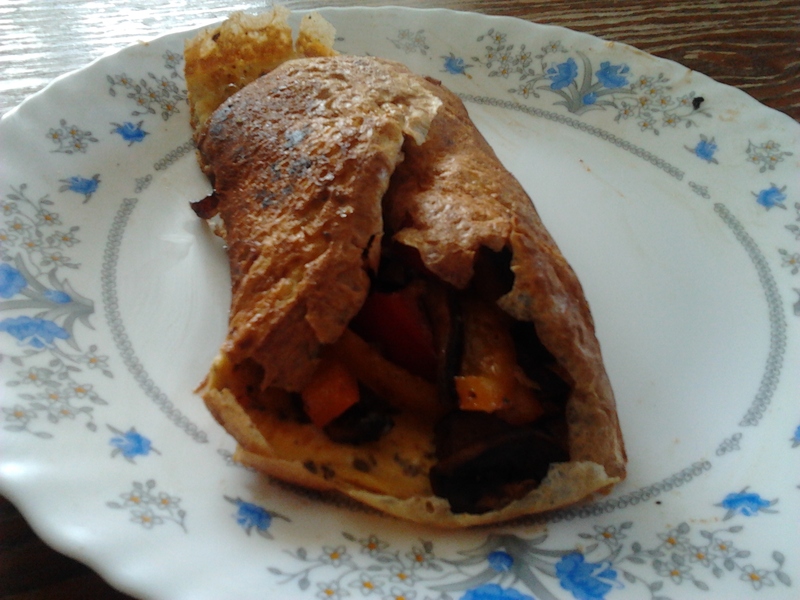 I instituted a BBQ twist to appease my anti-vegetarian audience (if there is any). For those who boast that nothing can ever rival the meat original, even this satisfying vegan version of a family favorite earned 5 stars from my meat and potatoes red blood male hubby. Still skeptical? Don’t just take my word for it. Try it yourself. If you don’t like vegetable granules, try the soy-free version I mentioned earlier. Or use your favorite brand. Mine is Tivall. I would like to hear some of your experiences and ideas using soy minced meat. In a large skillet, saute the onion, garlic, mushrooms and peppers in olive oil for 5 to 7 minutes, or until onions are soft. 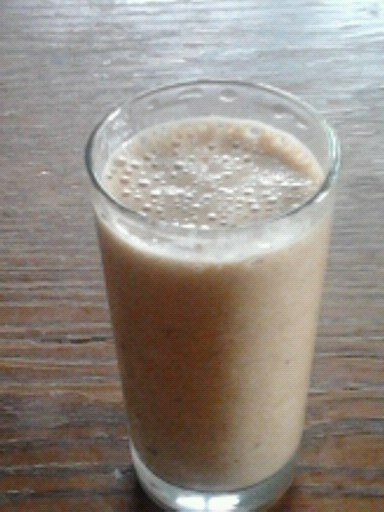 Season with chili powder and ground pepper. Reduce heat to medium low and add the remaining ingredients (except buns) and stir well to combine. Allow to simmer for at least 15 more minutes. Spoon mixture into buns and serve hot. This entry was posted in Vegetarian and tagged dinner ideas, how to make sloppy joes, vegetarian minced meat, vegetarian sloppy joes recipe. In a large soup pot, heat the olive oil over medium heat. Add the onions, jalapeno pepper and garlic and cook for several minutes, stirring occasionally. When the onions are cooked through, add the cumin, cinnamon, paprika and coriander and cook for a minute more. Add the tomatoes, chickpeas, 6 cups of vegetable broth and stir. Bring the soup to a boil, reduce heat to low, and cover. Simmer for 10 minutes. Then add the orzo and continue simmering for another 15 minutes. As the soup cooks, add additional water as you see fit. Once the orzo is fully cooked, remove from heat and stir in the spinach or kale and lemon. Cover and let sit for 5 minutes so the spinach wilts. Serve hot. 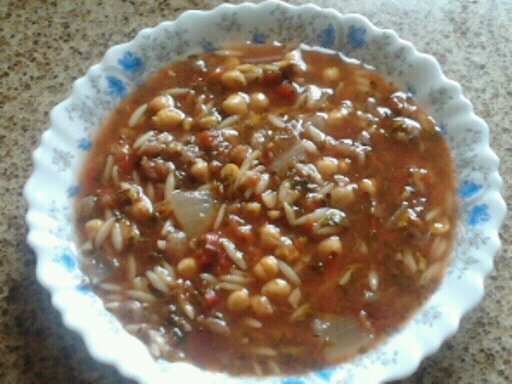 This entry was posted in Soup, Vegetarian and tagged chickpea orzo soup, cooked chickpeas, lemony soup, Middle Eastern, orzo.